Hello friends! 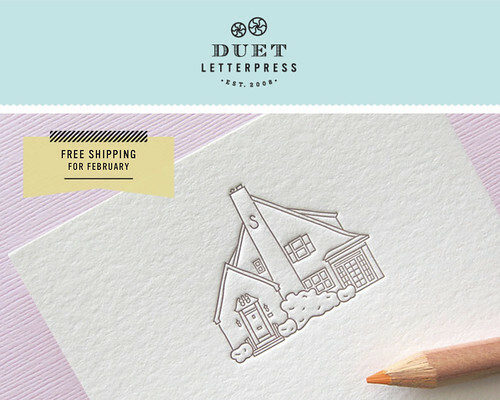 For the month of February, we’re offering free shipping on our custom house sketches. This applies to both our moving announcements and our 5″ x 7″ house prints! If you’d like to snag one of these custom orders or want more details, please contact us. We’d love to work with you! This entry was posted on Friday, February 1st, 2019 at 10:51 am	and is filed under letterpress. You can follow any responses to this entry through the RSS 2.0 feed. You can leave a response, or trackback from your own site.